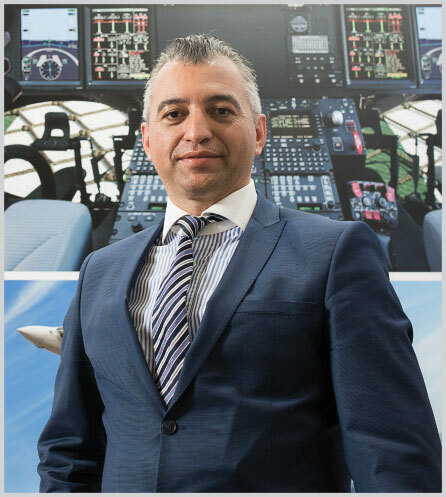 Beginning the interview by sharing with us that they accomplished a successful cooperation model with Turkey as part of the T129 ‘Atak’ Helicopter program, Mr. Çetingül expressed that they were proud to completely fulfil the expectations users with the LHTEC CYS800-4A engine – a joint production of Rolls-Royce and Honeywell. “High altitude and high temperature are the most crucial factors challenging the engine. During the test campaign that we conducted last year in Pakistan the T129 ‘Atak’ Helicopter proved itself by going through harsh circumstances, against high altitude and hot temperatures and displayed excellent performance. Surely, the splendid performance demonstrated by the LHTEC CTS800-4A engine was a great source of pride for us. Within the scope of the T129 ‘Atak’ Helicopter procurement program, more than 20 helicopters were delivered to the procurement authority so far. The Land Forces Command staff is very pleased with both the helicopter and the performance displayed by the engine, and due to their satisfaction, negotiations with the Naval Forces Command and General Command of Gendarmerie are continuing for the procurement of these platforms and engines. A contract was signed with the Ministry of Interior Affairs. The official process for the ratification of the export licenses of the US Government for these engines to be procured in accordance with this contract have started. There seems to be no obstacles for the time being”, said Mr. Çetingül. Stating that ‘Özgün’ Helicopter will be conducting its maiden flight in 2018, Mr. Çetingül added that witnessing the maiden flight of this helicopter, built from ground up, will make them proud. Mr. Çetingül mentioned that they presented a road map to the Undersecretariat for Defense Industries for the industrialization of the existing engine as part of the ‘Özgün’ program Mr. Çetingül added: “We shared the road map consisting of different phase with the procurement authorities. We are in close cooperation with the Turkish Defense Industry companies regarding the production of these engines in Turkey. While we continue our negotiations with these companies, we also negotiate with the 2nd and 3rd Tiers that provide services and equipments to these companies. At this point, the costs must be competitive and affordable as well. Also noting that Honeywell Aerospace made a significant amount of investment in SATCOM technologies, Mr. Çetingül said: “We changed our motto to ‘The power of connected’. We plan to carrying all physical Honeywell solutions to the digital environment. The engines, APU systems or weather radar raw data collected via the Honeywell solutions afterwards this raw data is processed and can be transformed into essential data for the service supplier to reduce costs etc.